Dharamsala News Alert, Dharamsala News, India Election News, Dharamsala News ! Dharamsala News Alert, Achive 03, 2009...Click Here ! Holi Colors, Archive 02, 2009...Click here !
" I Dare To Dream" !, Archive 01, 2009...Click Here ! 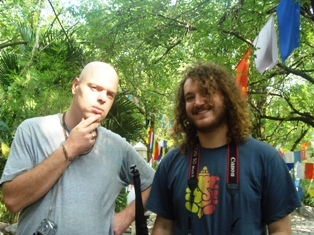 Dharamsala News Alert : Himalayan 'Van Sarovar', 2009 !, Dharamsala!,2009. News Dharamsala, 23rd June, 2009 : Himachal Rain Water Harvesting,2009 ! The Forest Department of Govt. 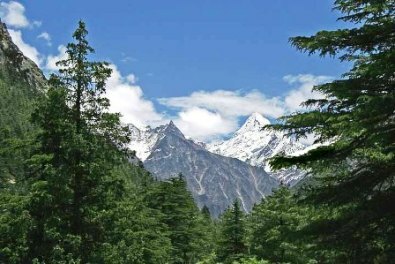 of Himachal Pradesh under NREGA National Scheme, is proposing to introduce the 'Van Sarovar' initiative in the Himalayan Forests. Under this scheme 'rainwater harvesting', will be used for re-charging, groundwater levels in the mountains. Keeping in mind dramatic climate change and global warming, these initial steps are essential for maintaining a 'Simply Green Himachal' for our generations to come. 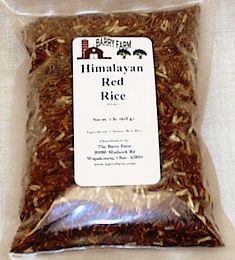 Dharamsala News Alert : Himalayan Red Rice, 2009 !, Dharamsala!,2009. News Dharamsala, 19th June, 2009 : Himachal Red Rice,2009 !, Dharamsala Alert ! The Palampur Agricultural University, are taking a special initiative for preserving the traditional red rice variety of the Himalayan state. Locally known as 'Chhohartu', this red rice delicacy will feature prominent in their effort for registering and moniteering the growth of various rice strains. Red rice is an excellent accompaniment with breakfast cereals, Roast Chicken soup and as a daily diet with Rural Indian cuisine. Dharamsala News Alert : Week-End High..Sowing Dreams !, Dharamsala!,2009. News Dharamsala, 15th June, 2009 : Painting your Childhood,2009 !, Dharamsala Alert ! Years back, while staying in Aligarh (Uttar Pradesh) and studying in the only convent school at that time, there were many memories. I was told to represent the school in an essay competition on ‘Australia’, within fifteen minutes. Our English teacher, in his impeccable English seeing my hesitation, smiled and said.. “ Just write what you appreciate most in Australia.” Living on a healthy diet of Mills & Boons and Barbara Cartland books, cricket and wildlife, obviously showed in my writing. I came back having written an essay on “ Exciting Bush Romances of Australia along with Cricket and Kangaroos !! Whenever, we have travelled or faced a difficult situation, we focus, only on the best and ignore, the rest. In all our relationships, we have tried to bring..the melody of warmth and care in them, because it is true, without appreciation and harmony..there is no growth! .. This week-end, talk to each other..and paint your own childhood canvas, in your daily life. This is essential so that when it is time for our young to find their place in the Sun, they will look in their hearts for inspiration, where their dreams have been sown by us. ! Dharamsala News Alert : People's Budget, 2009 !, Dharamsala!,2009. News Dharamsala, 15th June, 2009 : Pranab Mukherjee , Finance Minister,India 2009 !, Dharamsala Alert ! Carrying forward, a parliamentary career of nearly five decades, Shri. 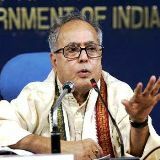 Pranab Mukherjee our newly elected Finance Minister, will now meet the challenges of a developing 21st century India..in his Budget, 2009. Taking the first initiative, for facing the problems of a 'diverse India', a pre-budget conference was held, attended by the Chief Ministers and Finance Ministers of the all the States. An essential pre-requisite, for understanding the ambition of Corporate India with the needs and requirements of every state along with environmental concern. Special welfare schemes for water, light, housing and employment and tax quotas..all were under review. The Nation is confident, that with such important steps being taken for People's representation, the budget will usher a new era of progress and prosperity. Dharamsala News Alert : Week-End High..Nature and Child !, Dharamsala!,2009. News Dharamsala, 11th June, 2009 : Mother Nature & Child! ,2009 !, Dharamsala Alert ! It is to strangers, that we confide, the most, because so many times in our daily grind, we forget to indulge in chatting with our near and dear ones. Very little can be achieved without talk and play. This weekend we took time of with our daughter and her friends. We were pleasantly surprised when, among much giggles and teenage tantrums, our daughter while answering to a nature quiz, told us how to recharge 'underground water'. They also told us, about an ancient tribal tradition in Maharashtra state, where different crops were grown in concentric circles, to avoid locust menace by the farmers. All this education is given in their 'Environmetal Science' class, which is the new subject for today for awareness in Climate Change and Global warming. What is important is, these moments spent together, in the backdrop of laughter, running streams, green fields, singing birds and 'dancing with the butterflies', will always be an unforgettable learning experience for all of us. 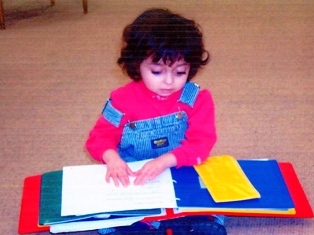 For the wisdom shared with your child and for knowing your child better, this weekend 'Reach out to Mother Nature' !! Dharamsala News Alert : Eco Drive..Jute Bags, Dharamsala!,2009. News Dharamsala, 08th June, 2009 : Simply " A Green Himachal"! ,2009 !, Dharamsala Alert ! 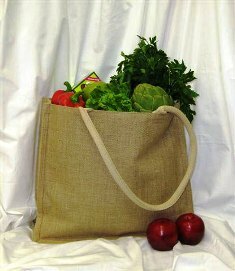 In a bid to reduce usage of poly bags and encourage paper and jute bags, the Himachal Govt. has taken a positive green initiative. All Tourists ( Domestic/International), will be facilitated with availability of jute and recyled paper bags on their visit to the Himalayan state. News Dharamsala, 08th June, 2009 : From the Himalayas !,2009, Dharamsala Alert ! Shri Virbhadra Singh, one of the most seasoned Politician in the Union Council of Ministers, will display his expertise, as the new Union Minister for Steel. He carries behind him, years of pristine political experience in his service for the State of Himachal Pradesh. We are confident that, he will usher a new dynamics in steel development for India. His vast knowledge of the Himalayas, will be an added asset for the interest of the Mountain States. News Dharamsala, 08th June, 2009 : From the Himalayas!,2009, Dharamsala Alert ! Shri. Anand Sharma, having carried forward the vision of the Youth Congress and with his vast experience in International Affairs, will now service the Nation as the new Union Commerce and Industry Minister. We wish him success, on the path of progress and have faith he will discharge his duty towards the Nation with utmost acumen. The Himalayas look foward to special industrial packages in keeping with his knowledge of the Mountain. Dharamsala News Alert : High Tea Fun, Dharamsala!,2009. News Dharamsala, 07th June, 2009 : Globetrotting 'Mahatmas', Spreading Smiles ,2009 !, Dharamsala Alert ! Not all moments of our lives..are priceless, but those spent with our Global friends are..The melody of early monsoon showers, the smell of wet earth and warm food with laughter and tales..! For Peace Journey of the Heart..Click Here !! Dharamsala News Alert..Simply A Green Himachal, Dharamsala!,2009. News Dharamsala, 05th June, 2009 :World Environment Day,2009 !, Dharamsala Alert ! "Simply, A Green Himachal"..celebrates the 'World Environment Day 2009, by going on a Himalayan treasure hunt of traditional medicinal plants and herbs. 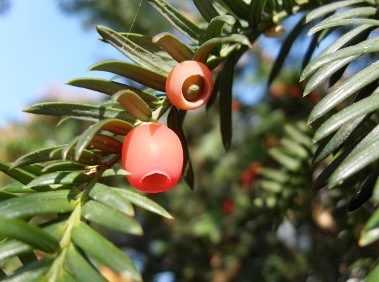 The Research Institute in Indian Survey of Medicine, have documented 800 rare species of medicinal plants in the state. This green treasure will usher environmental friendly livelihood for the local communities. News Dharamsala, 05th June, 2009 :From the Himalayas,2009 !, Dharamsala Alert ! Dr Farooq Abdullah, veteran politician from the Himalayan state of Jammu and Kashmir, is taking up the new challenge as Union Cabinet Minister of New and Renewable Energy. Dr Abdullah firmly believes in the credibility of his duty towards the Nation.. " I am happy that I have been entrusted with the job which ultimately benefits our future generation.I will go to each and every state and tell them what this ministry is all about and what help we can offer to promote non-conventional energy sources !" The five renewable sources of Energy used most often: hydropower (water), solar, wind, geothermal, and biomass. Today, this highly relevant Ministry, requires not just, the Wisdom of the Experienced, but also the committed concern of the Young... and because the 'Mountain knows why we still are Learning', we wish him success and vision to carry forward this green drive for the future.
" HAPPY WORLD ENVIRONMENT DAY !! " Dharamsala News Alert..Green Himachal, Dharamsala!,2009. News Dharamsala, 04th June, 2009 :Up in the Mountain, 2009 !, Dharamsala Alert ! The CM of Himachal Pradesh, Prof. PK Dhumal has appreciated, all the administrative departments of State welfare and infrastructure for their endeavour, in making the mountain state, a hallmark for 'development & progress'. He has also urged that this recognition from the Govt. 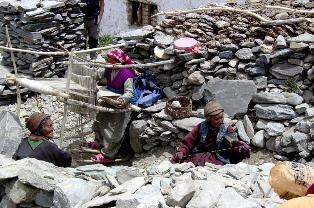 of India, should inspire them to achieve more for the Himalayan people. News Dharamsala, 04th June, 2009 :Many Firsts to Feel Proud, 2009 !, Dharamsala Alert ! There have been many 'firsts', in the New Parliament of India, 2009. We welcome Smt. Meira Kumar and Shri. Kariya Munda as the Chief and Deputy Speaker in the Lok Sabha (People's Parliament) respectively. Their selection for these honoured posts, is an inspiration for all, irrespective of caste or creed. To the world, it presents a 21st century INDIA..offering opportunity to the traditionally underpriviledged classes. We wish them, high success and vitality in their hours of duty to the Nation ! Dharamsala News Alert..IIT Himachal, Dharamsala!,2009. News Dharamsala, 01 June, 2009 :Himalayan IIT, Mandi (HP), 2009 !, Dharamsala Alert ! 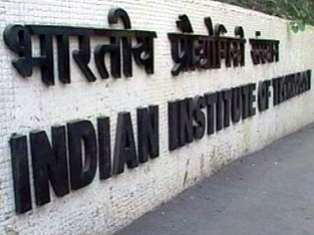 The first batch of 120 students of the IIT(Indian Institute of Technology), Mandi, will be starting their academic year at IIT Roorkee (Uttar Pradesh) in June-July, 2009. We are looking forward to having the students in the green ambience of Himachal, as soon as the educational infrastructure is completed at the Institute, with the kind cooperation of the Ministry of Human Resource Development. News Dharamsala, 01 June, 2009 :Peace Australia, 2009 !, Dharamsala Alert ! 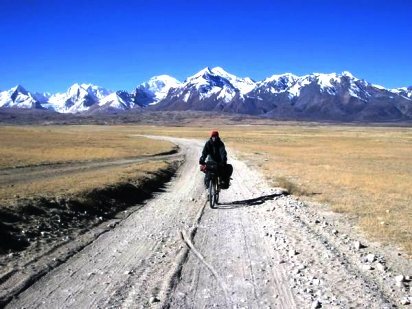 In 629-645 AD, Xuan Zang (Hsuan-Tsang), the famous Buddhist Chinese Monk made his travel to India via the 'ancient silk route' in search of knowledge and cultural insight. Today in the 21st century..this ancient tradition, of Travel for Study is still prevalent, by International students crossing borders, for educational pursuit. This is an open window for Human hospitality, International relations, Cultural exchanges with an opportunity for nurturing Global Economy and Peace. It is obligatory, that all nations keep this ancient practice alive for brotherhood and mutual benefit. We as a Nation, wish and pray for the well being and good health of all our young in Australia, as in them lies the future of our Green Earth ! Dharamsala News Alert..Summer Festival, Dharamsala!,2009. News Dharamsala, 28th May, 2009 :Lord Indru Nag Blessings, 2009 !, Dharamsala Alert ! The local administration as per tradition sought the blessings of Lord Indru Nag, for the Summer Festival Inauguration. The inauguration was graced by Shri. 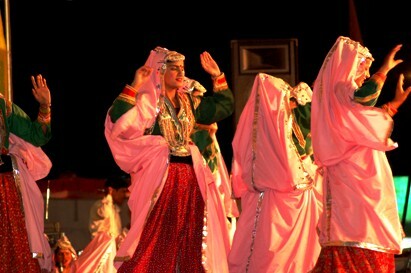 KK Kapoor, the Transport Minister of Himachal Pradesh. News Dharamsala, 28th May, 2009 :Himalayan Iceberg Warms Delhi, 2009 !, Dharamsala Alert ! The Himalayan Iceberg was melting with warmth and celebration in Delhi as a major section of the India Himalayas was represented at the oath-taking ceremony of the newly elected Govt's cabinet. From the state of Himachal Pradesh, veteran politicians, Shri. Virbhadra Singh and Shri, Anand Sharma took charge of the Steel and Commerce & Industry portfolios. We wish them vision and are confident that they will fulfill the aspiration of the Nation and the Himalayan people. Dharamsala News Alert..Treasure of Knowledge!,2009. News Dharamsala, 27th May, 2009 :Himalayan Braille Library, 2009 !, Dharamsala Alert ! A Himalayan Braille Library is being proposed in the state of Himachal Pradesh. This will be a treasure of knowledge for the visually impaired. News Dharamsala, 27th May, 2009 :Gandhi Shilp Bazaar, 2009 !, Dharamsala Alert ! Gandhi Shilp Bazaar is being organised by the Weavers Association to highlight their skills and the life of Mahatma Gandhi. Dharamsala News Alert..Ever Young & Green Punjab!,2009. News Dharamsala, 26th May, 2009 :A Green Harvest..Punjab, 2009 !, Dharamsala Alert ! 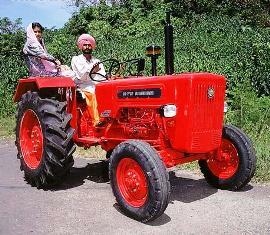 In a bid to promote tractor sales in the Northern state of Punjab, a one week agricultural exhibition & fair, is being held in the rural parts of the state. The fair will provide knowledge on agro-products and technology to the green farmer communitiy. News Dharamsala, 26th May, 2009 :A Peaceful & Green..Punjab, 2009 !, Dharamsala Alert ! The Nation pays homage to the late Sant Ramanand, of the Dera Sach Khand in Vienna, and prays for a quick recovery of Sant Niranjan Dass. The Prime Minister, Shri. Manmohan Singh has requested the people for Peace and Discipline. " Invoking the teachings of the Gurus, I appeal to all sections of the people of Punjab to abjure violence and maintain Peace." The CM of Punjab, Shri Prakash Singh Badal has also appealed for restraint and peace, in sympathy to the unfortunate incident in Dera Sach Khand in Vienna. We are hoping that the wise teachings of Sant Ravi Das will prevail..bringing harmony and brotherhood in Punjab ! News Dharamsala, 26th May, 2009 :Hand Pumps in Himachal, 2009 !, Dharamsala Alert ! As an added supplement, to the centrally funded 'Jalmani' scheme, 14,330 rural schools in the Himalayan state of Himachal, will be having water hand-pumps. The CM, Prof. PK Dhumal emphasized the need to strenghten the Irrigation network in the state , as a top priority. Dharamsala News Alert..Water Pitcher..Indian Style!,2009. News Dharamsala, 25th May, 2009 : Water Pitcher in Schools, 2009 !, Dharamsala Alert ! The Education Dept. of Himachal will be ensuring all the primary schools should have water-pitchers and a tap in every school so that the students have drinking water facility. Dharamsala News Alert, 24th May, 2009 : Joy Ride,Bangalore 2009 !, Dharamsala ! Marking the first anniversary of the new Bangalore International Airport the under privileged children from the city were taken on board a plane on their week-end. Dharamsala News Alert..Simply A Green Himachal, 2009 ! Dharamsala News alert, 23nd May, 2009 : Himalayan Farm Fair, 2009 !, Dharamsala ! The Punjab National Bank is holding an Agri and Farm product Fair for a week in Himachal. 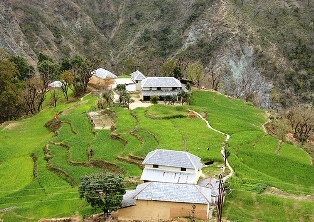 The local himalayan farmers will be imparted training on diary products, poultry, fish breeding and poly house farming. This will be accompanied by easy to get loans and farmers credit cards. News Dharamsala, 22nd May, 2009 : Himalayan Weavers Schools, 2009 !, Dharamsala Alert ! The Himachal Pradesh Govt. is proposing to open 32 handloom weaving schools all over the state, to encourage the traditional industry of hand-woven yarn. 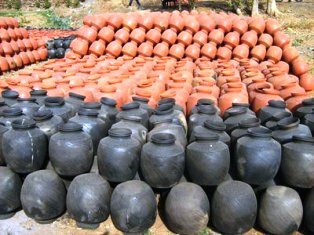 These initiatives are a must for any state, so that the ethenic tribal culture can be preserved while providing local economy. This is essential to bridging the gap and bringing the tribals in the mainstream of today's society. Dharamsala News Alert, 19th May, 2009 : Vote of Thanks, 2009 !, Dharamsala ! The Himachal Pradesh Govt. under the seasoned leadership of Prof. PK Dhumal of BJP, CM of Himachal, has thanked the people of the state for apppreciating the efforts of the Govt. by, giving them a winning mandate in the recent Lok Sabha Elections, 2009. 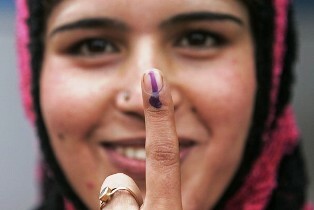 This victory no doubt, endorses the development and progress of the Himalayan state. We have faith that, this will inspire our Govt. to meet the challenges ahead, for promoting better social and economic welfare. We look forward to better infrastructure, health care, education and more environment and employment friendly industries, like Tourism and Agro-Farming. News Dharamsala, 20th May, 2009 : Nature Camp, Dalhousie, Dharamsala, 2009 !, Dharamsala Alert ! One week nature camp in Dalhousie in Chamba Valley, ended in which the participants, enjoyed the rich flora and fauna of the State. 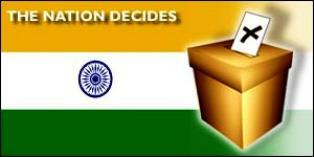 Dharamsala News Alert..Election 2009, INDIA VOTES ! News Dharamsala, 17th May, 2009 : India Welcomes a New Government !, Dharamsala Alert ! A progressive 21st century, India, marches ahead ready to face the new challenges of economic growth, peace and harmony in the country and all over the Globe ! The democratic voice of the people of India has respected the integrated social and economic fabric of the country by voting a National Alliance (UPA) into Power, under the seasoned guidance of Dr. Manmohan Singh. We wish and welcome the new Govt. of India and have faith that it will bring equal opportunity and prosperity to all.